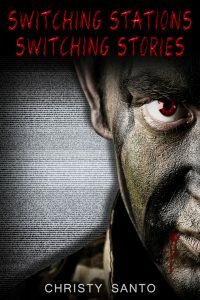 It is now a year since I published Switching Stations, Switching Stories and – with a second manuscript in the hands of a professional proofreader – I am reflecting back on my experiences. I thought when I joined Google Plus writing communities and made connections with fellow writers I was getting a real education before my first book came out, thereby avoiding lots of pitfalls. I have since learned that while I didn’t do a bad job, I could have done better. For example, one of the frustrations I have had is getting reviews. Just as I released my book, I did a publicity release, looking back I wish I had seen that one could gift a book on Amazon.com and BN.com. It may have worked out better than only asking via the publicity release for people to e-mail me for a free copy of the book. Also, I didn’t have the followers I have now on social media nor did I do ads on these sites until later in 2014. Ouch! So I missed out on having a broader audience asking me for a free copy of the book. 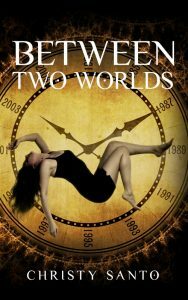 I did try a book giveaway on two websites- Booklikes.com and Goodreads.com. I did this despite three different authors posting on Google Plus that there is a lot more giving away of a book than getting a review in return. They were right. I got only two reviews and gave away ten digital copies and three paperbacks. Still I kept reading posts on social media by “voices” I trusted and searched online about how to go about book promoting and finding sites such as librarything.com and readersintheknow.com to list my books. As my list kept growing, but there was very little return. I began to wonder if the book’s description and book cover were not strong enough, or if maybe the book description is stronger than the book cover. I shooed these thoughts away because I was told by many people I know it was perfect. The doubt came back as the months went by, and I dismissed it again until I found Bookarma.net. It is a website that allows an author to list his or her book(s) and in return get feedback. It comes in the form of an average rating score for each of the following: book description, book cover, and social media messages. The ratings are one the lowest and five the highest. And at the same time users of the site can choose to share the social media messages on his or her Facebook and Twitter account followers. If an author wants to do a campaign, an account must be set up for either a monthly fee of $1.99 or $22 a year (saving $2). An excerpt from Bookarma.net explains the metric system. However, I have taken the numbers from another author’s book and inserted the numbers from my first Bookarma.com campaign in which 12 authors gave me feedback. So what do these numbers mean? Whenever your book is delivered to another authors’ queue, it creates an impression – 2768. But that doesn’t necessarily mean that the author actually viewed the book. It simply means that the book was sent to the queue. This number is the least significant. What is more significant is the number of views 58, which shows how many times another author actually clicked on the details of that book. The number of shares 107 shows how many times those authors actually shared that book on their network. And of course the click backs 1062 tells you how many times viewers actually clicked on the Facebook post or tweet, went to your book information page, and had the opportunity to purchase your book. I chose to go ahead and open a paid account and set up a campaign starting in April 2014. As the weeks, passed I found out on that average my book’s cover and description rated in the high threes but my social media messages scored the lowest – a one. I worked on those land improved them to an average rating of three. While my book was being shared and re-shared, it was not translating to sales. In March of this year, I began to consider my options for fixing this not only on Bookarma.net but other sites as well. I took into consideration several things: my savings, monthly expenses for my first book, and non-book expenses. As well as the over 100,000-word account, and my reviews as I thought about either revising the book or doing a new book cover. I took several days to think this over and decided I could only afford a new book cover. So I found someone to do the work and had it up by March 5th. Then I started a new campaign on Bookarma.net with the new book cover and my metrics were as follows: 468 impressions, 33 views, 47 shares, and 731 click backs. The book cover’s average score is 3.29, the description is averaging 3.43, and the social media messages have remained with an average of 3. I gained eight new authors who rated my book. (Author scores are the only thing Bookarma.net does not erase.) I think these scores have come about faster than the numbers for my first campaign. While each average is not necessarily higher, I believe the click backs over time will be much higher by this time next year than they were when I ended the first campaign.